Established in 1846 as the Miller's Friend, this pub was renamed the Gepps Cross in 1848. It was the Victoria Cross for a while and then the Gepps Cross again. The pub and suburb of Gepps Cross (the pub's actually in the suburb of Blair Athol) take their names from the first licensee of the hotel, Issac Gepp. It overlooks the biggest intersection in Adelaide. The Gepps Cross Hotel offers the following facilities for your enjoyment: Family Bistro, Sports Bar, Gaming Room & Bottle Shop. Located on the near north side to the city, the Hampstead Hotel has redefined the meaning of 'the local pub'! The inside is comfortable 'state of the art' while the outside is monumental. The service is first class - so come on down ! A Sports Bar with 5 plasma screens and a Bistro with an atrium that soars like a cathedral. Chefs on display in a kitchen showpiece. The Club Bar features an ice mountain. 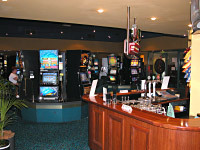 Latest pokies, great music and even a kid's corner. From wok to roast complete with salad and vegetable bar. 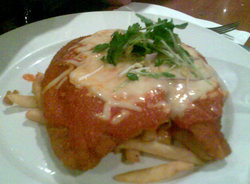 This is 21st Century Australian cuisine at its best. The kitchen is in full view so why not add the chefs' input when making your selection. Imagine a sports bar with 20 screens. With good company, icy cold beer and other favourite wines and spirits and you've got a front row seat to the world. 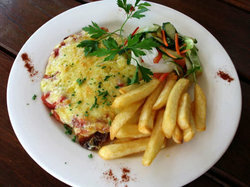 The British Hotel in North Adelaide is renowned for its tantalising cuisine, friendly service and great atmosphere. The British opened its doors to the public back in 1838 and now holds one of the oldest hotel licences in South Australia. Things were a little different back then, but the old nostalgia and charm of the British remains today. 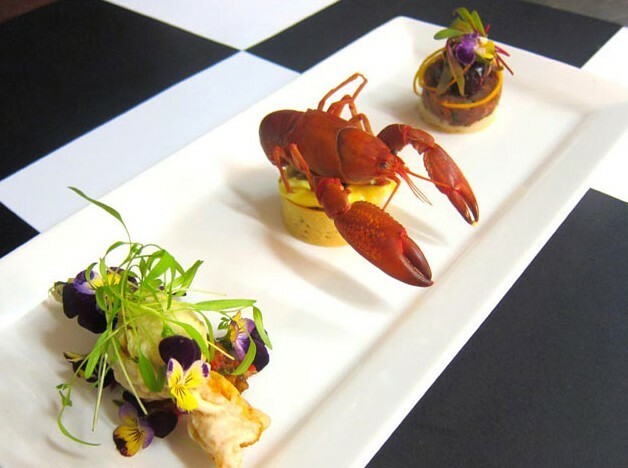 Situated amongst the leafy streets of North Adelaide, the British Hotel offers a wide variety of culinary services, ranging from dinners in our private function rooms, to tasty snacks at one of the bars. 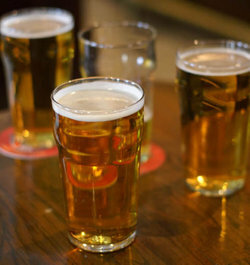 The British Hotel also boasts a fine selection of wines and beers to cater for every thirst. Whether it be for a function, casual dinner or just a couple of drinks, the British Hotel is the ideal venue, so come and visit us today. 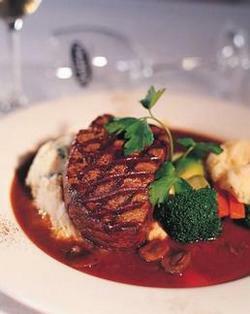 Located on the cosmopolitan Parade at Norwood is the landmark historical award winning Norwood Hotel. Many artefacts throughout Finns were sourced direct from Ireland and the UK, with the remainder being collected from around Australia. Including musical instruments, maps, literary works, plus hunting and sporting equipment. 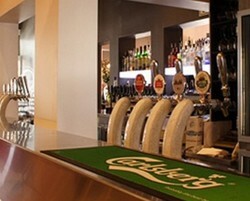 Loads of Parking off Osmond Tce, Finn\'s offers a complete Irish Pub experience. 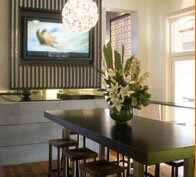 Finns is a lively hotel in the centre of Adelaide\'s East End precinct. The Front and Lounge Bars open from 11am till late with Entertainment in the enclosed Beer Garden seven nights a week from 9pm, featuring live bands, D.J\'s and Open Mike Night on Sun. The Exeter serves lunch and dinner with pub style and a-la-carte menus but please contact us to check times. Make sure you try our famous Curry night on the Balcony every Wednesday and Thursday. A very casual hotel with lots of patrons from the nearby Universities. The Avoca Hotel is the perfect combination of indoor and outdoor. 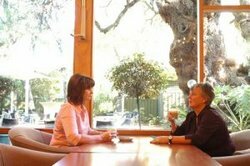 You can relax with friends over a few a drinks at the bar, enjoy a casual meal on the hardwood decks in the courtyard or go indoors and savour the tastes of the Avoca menu in Toco’s Restaurant. The Avoca Hotel is a perfect meeting place for lazy days and relaxed nights. Our Liars' Bar breathes a life of it's own within the Hotel. Plenty of timber, interesting and amusing decor additions, and the absence of pokie machines in this area, make for a congenial ambiance. Liars' Bar also offers an extensive bar menu, with the best bar meals in Adelaide to choose from, including our famous large, top quality schnitzels and sort after Salt & Pepper Squid! The dishes offered are outstanding in quality and value. Our dedicated team of Chef’s will present you with meals to die for! An extensive bottled wine list is available,or you may choose to peruse our selections in the wine bar, conveniently located adjacent to the restaurant. Come in and experience the Goody today! We’ve got plenty on offer and pride ourselves on great value, attentive service plus affordable and tasty meals. Under the McEntee family, the Goody has something for everyone, including entertainment five nights a week, plus great function facilities. Please look through our website and discover the unique facilities of the Goody. The Goody Bar has a great atmosphere, whether it's for a drink with friends, some great entertainment or a meal. We've got plenty of TV's to check out the latest sport and video clips from our video jukebox. Our friendly staff look forward to making your visit an enjoyable one. Come and meet our friendly staff in our bistro where you can enjoy some of our chefs fantastic creations and tantalising wine menu. The Lounge Bar oversees the Lounge/Dining and rear large Beer Garden. From Monday to Saturday this bar caters for the adult Entertainment Enthusiast but is still available for buck shows, parties and dining. Buck show packages are available upon enquiry. Extended happy hours apply to soccer fans before Adelaide United games! There are six beers available on fourteen taps servicing the front, lounge and beer garden bar. The newly renovated beer garden with water features and trendy verticle gardens is available for hire Sat - Wed. 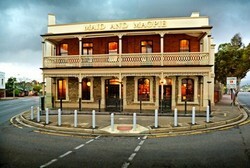 The Maid as it's now called is one of Adelaide’s oldest and most historic hotels. 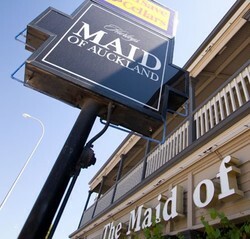 The Maid has been a mainstay of the Adelaide hotel scene since it was first built in 1848. The Maid brings with its renovation unprecedented style and prestige. The maid a landmark pub is reaping the benefits of a very smart $3.6 million redevelopment that took over two years to complete and saw the hotel pick up numerous awards. Friday’s has always been that special day. It’s the end of the week, the weekends bearing ever so near and your best mates have invited you out for a drink. With no early meetings, no deadlines and no pressure what so ever you accept. The inevitable question draws near, ‘Where to?” Well why not be where everyone’s at…The Maid! After all, it was Maid for Fridays. Come in and visit us and enjoy a drink in one of our bars. The Oxford Hotel is one of the state's most iconic pubs and stands proudly on the corner of Tynte and O'Connell Street in the cool and cosmopolitan North Adelaide. With inside and alfresco areas, the bistro has a relaxed, casual feel combined with excellent presentation and consistency of food. 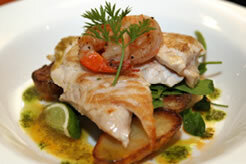 The menu has great contemporized pub classics as well as gourmet specials and lighter options. To complete the package, The Oxford has a dynamic upstairs function room known as the Spirit Room. Next door to The Oxford is The Banque which is also available for functions. Its chic appearance and modern features make it the perfect venue for product launches, engagements, 21st birthday parties, corporate events and any other special occasion that seeks a little class without breaking the budget. You'll always have a memorable night at the Alma - we've got great entertainment Thursday, Friday, Saturday and Sunday nights plus regular special events. Entry is free to all nights! We're known for our great food, and our new menus feature a selection to tantalise all taste buds! You can choose from casual relaxed dining in the Bar and Skybar areas or full service dining in our Bistro. Each area now features a different menu. 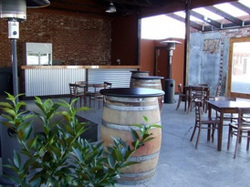 The Alma is perfect to host your next business or social function. We've got different areas to choose from, depending on your requirements, plenty of free carparking, private areas if you require, extensive wines, food and beverages available and a professional staff who know how to deliver a great event for you. Our ALL NEW gaming room is open 7 days a week and features 32 of the latest machines in a comfortable and relaxed atmosphere. From Adelaide's largest and best Balcony, to our magnificent Cocktail bar, to the understated elegance of the drawing Room, to the opulence of the exclusive Library, the upstairs experience at the Archer Hotel is as good as it gets. Pop into Avenues for a drink. You'll find our friendly staff are always waiting to take your order and pour your next drink. The Brompton is South Australia's award-winning heritage-listed hotel hidden in the north-west suburbs less than 10 minutes from the city. At The Brompton we're passionate about seamlessly weaving quality food, drink and experience. When you sit down at The Brasserie, the Courtyard or the café, you can start a conversation, start a meal, start a business deal or start a celebration. Upstairs in the Loft you can hold a seminar, luncheon, product release, private dinner or the perfect cocktail party. 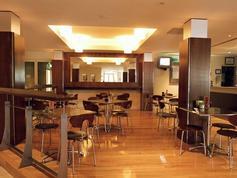 A short walk from both Coopers Stadium and The Adelaide Entertainment Centre, it is a popular pre-event venue for all. It encompasses a lounge area with a large central ski lodge fireplace, a pool table area and a balcony overlooking beautiful O’Connell Street. We specialise in open bar functions with your personal choice of wines and spirits on offer and at no charge, audio and visual equipment with eight large screens. We are also pleased to say we serve genuine glass mixers including the new mini Coke range. Cambridge Balcony Bar’s intimate atmosphere offers you privacy for your function or party with personalised and customised function party planning for your complete satisfaction. The Cathedral hotel is a beautiful heritage listed venue at the southern end of North Adelaide. It is conveniently located just a short stroll from the Women’s and Children’s and Memorial Hospitals and the historic Adelaide Oval. The hotel was established in 1860 and has recently been renovated to modernise facilities whilst maintaining its historical features. There are two separate and beautiful bars and a large dining room. The cosy Kermode Street bar now boasts a salad and sandwich bar with a large selection of icecreams and a premium coffee machine serving only Vittoria coffee. The very well stocked main bar and it’s adjacent lounge are very popular during our daily happy hour (4-6pm). 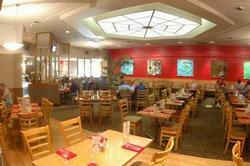 The dining room is large and spacious and our bistro menu is available for lunch and dinner Monday to Saturday. The hotel is very busy with functions ranging from dinner meetings and corporate cocktail events to 21st birthdays, other ‘special age’ birthdays and engagement parties. You can choose anyone of our three smart bars/lounges or our dining room to book exclusively for your event. The Colonist Tavern was built way back in 1851 and has been subjected to so many dodgy renos throughout the decades. The best way to describe the interior now is cool, quirky, grunge & glitter. What we've done now is peeled back the layers to expose the interior in some of its original and raw form (the grunge). Then we have added some fantastic artwork, vintage lighting & furniture (the glitter). The stand out features are the Klimt, "Tree Of Life" replica hand painted mural by Sandra Anderson in the intimate formal dining room & the Ice Chandelier (yes real ice) by Nick Folland in the main bar. Whether it's a 3 course sit down meal or stylish cocktail party. We cater for Alacarte Dining and Set Menus in our restuarant, as well as providing various finger food options for a cocktail style party in our bar. For all function details click on the links to the right or contact us to discuss your needs, keeping in mind that flexibility and consistency is our recipe for success. 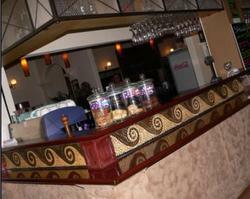 The main bar provides a relaxed environment with its comfortable booth seating and dry bars. We have a fabulous outdoor area equipped with a 3 metre wide LED Screen lots of seating and heating & cooling. 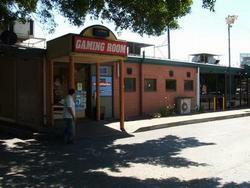 The sports bar comes to life with TAB and SA Lotteries facilities, Fox Sports & tons of TVs. Catch all of this years AFL action on our new 103inch HD Plasma. Range of tap beers , the finest wine and all your favourite spirits to enjoy by the fireplace in our Heineken sports area. Our large beer garden is renowned for its atmosphere with a giant screen to watch sporting events .Enjoy our large selection of share plates on a warm summers night. Perfect for cocktails and daily drink specials. If you’re a bit of a punter and enjoy the racing , our TAB and sports bar is for you with multiple screens and terminals. Looking for a place for all occasions? Then look no further, you've found it right here! You will always be welcomed with a warm smile as you enter the historic bar at The Dan which has been lovingly recreated into the Theme of the Victorian Dublin Pub. The theme of The Peppertree Restaurant is that of a Victorian Dublin Pub. Born of painstaking attention to detail and insistence on craftsmanship, the restaurant recalls the day when it was as vital to please the eye as the palate. 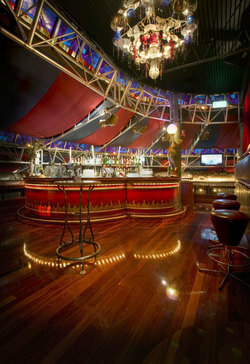 The interior is lavish with the bar made of mighty slabs of timber exquisitely French polished and elaborately carved. These timbers encompass the gilded mirrors and filigreed glass that serve to make the fully-imported bar a visual splendour. Whether you choose to look out over the historic Peppertree Courtyard or gaze into the rafters where Daniel O'Connell's bicycle can be found, the Peppertree Restaurant possesses an abundance of character and a beautiful ambience in which to dine. Located on Hampstead Road less than 15 minutes north from the city centre, the Hotel Enfield is the ideal place to relax and unwind after a busy day at work, try your luck in our gaming room with 33 pokie machine to choose from including the latest machines and some of the old favourites...Welcome, our friendly and professional staff are here to make your visit the first of many. There are 33 great machines, in our spacious gaming room. Tea and coffee is available to gaming patrons. We open from 9am till 3am Monday to Saturday and 9am to midnight on Sunday. Join our free VIP membership and receive a monthly newsletter that brings you up to date information about all the great promotions and events at the Enfield Hotel and even a free drink for your birthday. We would like to welcome you to our web site and the many facilities that are available to you. The Empire Hotel is a familiar landmark and is well known for its value for money dining and family friendly environment. Please enjoy our web site and please do not hesitate to contact us if you require any further information on our products and services. Travelling to the CIty? Travelling to the beach? Why not stop "Halfway" and enjoy our friendly, relaxed environment, ice cold beer on tap, popular gaming room, bottleshop and bistro. 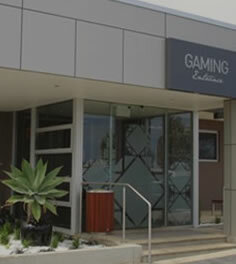 Nestled off Port Road The Halfway Hotel is your favourite local hotel, coupled with ample parking the Halfway has all day entertainment with gaming, TAB & Keno facilities. 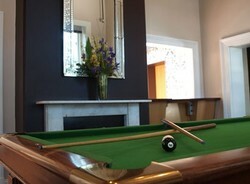 Come in and play in a relaxed, fun filled, friendly environment at the Halfway Hotel. 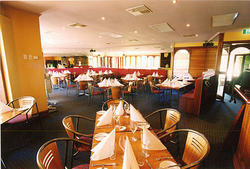 The Highbury Hotel is a newly renovated venue 20 minutes North East of Adelaide City. The Moment you enter, the spacious elegant foyer provides a glimpse of what we have to offer. DAILY HAPPY HOURS, All day dining in Mybar and relaxed atmosphere in Fedora's restaurant. There is always something special at the Hilton Hotel. Perhaps a pre-lunch or dinner drink at the bar, or settle back and catch up with friends in the comfy lounges. The delightful alfresco area is fantastic for a long and lazy Sunday lunch, or try your luck in the exciting new games room. After extensive redevelopment of the Hilton Hotel, Fedoras Restaurant has emerged with vengeance, offering a sleek and alluring dining venue. This stylish restaurant provides a variety of dining areas with sultry lighting, luxurious decor & cosmo laidback lounge area. Pop in to the Hope Inn Hotel, theres plenty to do at the Hope Inn Hotel. 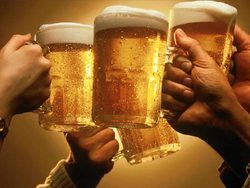 have a beer with your mates or catch up with others. 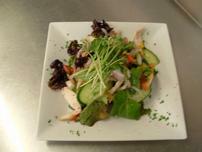 Bring in the girls for a rexing drink outside or stay for a meal, its good tucker from our bistro. Since being purchased by the Hurley group on the 10th December 1979 the hotel has undergone many changes. With an established reputation for excellence the hotel offers the very best in liquor service, dining, a stunning private self-contained function room upstairs, gaming, and a SipnSave Drive Thru and browse bottle shop facilities. Conveniently located in the heart of Torrensville on Henley Beach Road, less than 4km from both the Adelaide Airport and the city Centre. Ample car parking provided at the rear of the hotel. The Jervois Room is the ideal function room for your special event. Its quiet upstairs location makes it the perfect place for any event. The room and private bar area have been tastefully decorated and ready for our staff to transform into your perfect function venue. Whatever your needs, our Hotel Manager Shane will happily assist in ensuring your function meets all of your requirements. The newly renovated Kensi is the perfect place to enjoy your favourite cold beer on tap or one of our regular drink specials in our inviting and contemporary bar. Don't miss any of the action with your favourite footy matches and major sporting events on our big screens. Sample a meal or snack from our lunch and dinner menu while trying your luck having a flutter on the TAB and place your weekly tips on SportsPick. Mingle with your friends to your own choice of music from our Nightlife Video Jukebox, setting the atmosphere for every occasion. Recently renovated under the new name of The Kent Town Hotel, the former Tap Inn is a pub that really needs to be seen to be believed. The Crafty Monkey Bar & Babble On Beer Garden complete with swings and a huge tree through the centre. 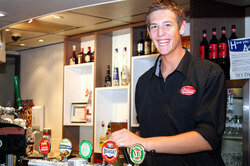 The Kent Town Hotel is great for casual after work or weekend drinks & meals. 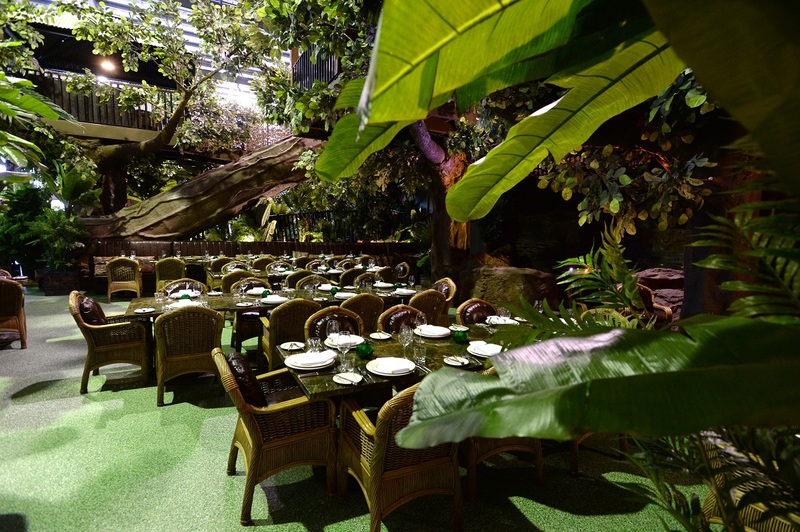 Unlike its predecessor The Kent Town Hotel has taken a more boutique approach with a new Churrasco Grill Restaurant "The Jungle"
complete with tree-houses and n expanded selection of drinks including craft beers. Dining available 7 days 12 noon to 9 pm. Lady daly Hotel, a great place for a cold beer and nice meal. Relax and unwind in our all weather beer garden, featuring live entertainment and regular events. Our beer garden is also available for private hire. Sit back relax and enjoy the serenity at the Lord melbourne Hotel. Bring in the family for a nice meal or come with your mates and hang out with the lovely bar staff. Located on South road in the heart of Edwardstown, just minutes from the city/Glenelg & Morphettville Racecourse. First licenced in 1851, the Maid is a locals pub. Renovated utilising original framework of the hotel. A family owned & operated pub, not a kitchen, or a bar, or a gaming venue, but a pub with traditional pub values and proudly so. 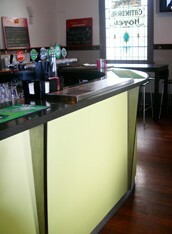 A traditional Adelaide front bar located where the original saloon bar once stood. The saloon bar is a sports lovers delight with large screens showing the best in local, national and international sports. 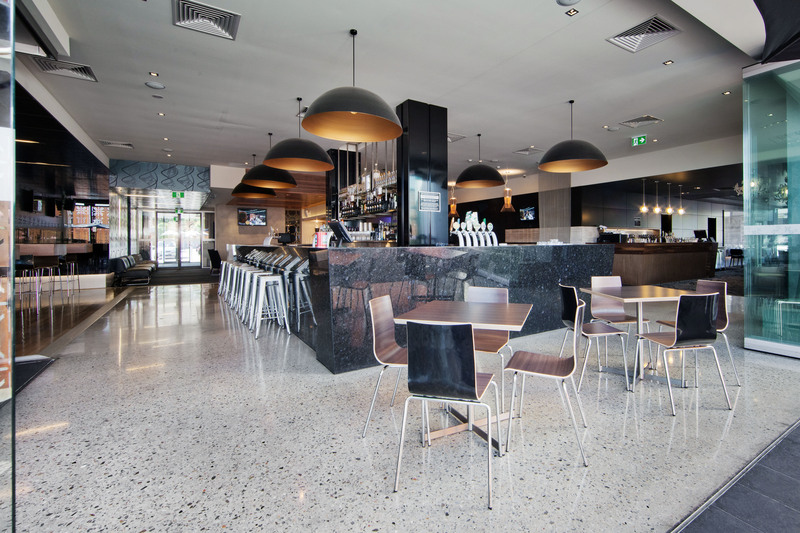 TAB, KENO and sportsbet facilities are all available, as well as a large selection of tap beers and counter meals all day. You will enjoy the friendly service and with promotions and happy hours always running your sure to find yourself amongst the action. The parlour bar services our maid’s parlour dining room, gaming room and all-weather courtyard. It is here you will receive the very best in table service. Sample the winelist, enjoy the snacks, or have a flutter on the pokies. Relax and enjoy the parlour bar with a drink on the sofa’s. A traditional suburban art deco style hotel, only 5 minutes from the City with TAB, front & lounge bars and accommodation rooms upstairs. Situated off the lounge bar is a private dining room ideal for meetings and functions. An up-to-date gaming room is also located off the lounge bar. 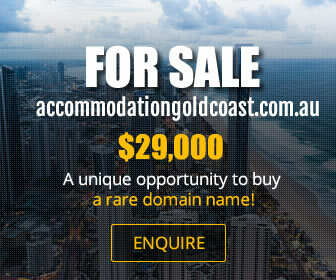 In an attempt to improve the Club's existing website in 1999, it was discovered that the Club's holdings of historical photographs and other memorabilia were not properly stored or catalogued. To address this issue, it was suggested that the Club set up a committee to undertake this work. Owned by the Horsnell family since the mid 1990’s, ‘The Scenic’ has built a reputation for providing great food, great service an unmatched Adelaide Hills focused wine list. All this just 15km from the Adelaide CBD, with an outlook to take your breath away! A haven for cyclists, walkers and the sunday driver, the hotel aims to provide a welcoming atmosphere at all times of the year. With roaring open fires throughout the colder months, and a plethora of outdoor choices during the warmer ones (along with the amazing rose garden that comes to light late in spring), there is always somewhere that will take your fancy at the Scenic. At The Scenic we tailor functions to fit with whatever you require for your special occasion. From weddings, birthdays, to car and community club functions. 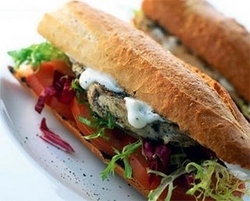 Menu choices can be personalised to cater for your group taste or budget. Drinks packages are available, or we are equally happy with a pay on consumption setup. The Norwood Hotel incorporates Finn Mac Cool’s Irish Pub and the Osmond Terrace Function Centre, we’ve been serving the people of Adelaide for over 100 years. Open from 11am until late seven days a week and with ample parking available at the rear of the hotel. The Queens Head Hotel offers a function facility catering for numbers as small as 15 and up to 100. We are happy to tailor functions to suit your specific requirements. We have various areas available throughout the hotel I am sure we have an area to suit your needs. Suitable for sit down of 30, cocktail and stand up function for 75. This Area is for exclusive hire. You have the use of 2 TV’s available for DVDs, a comfortable fixed couch area, private bar and personal ipod connection. Available until midnight Monday to Saturday. 8pm on Sunday. Suitable for sit down of 55, cocktail and stand up function for 75. This area is for exclusive hire. 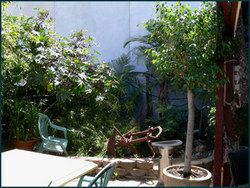 The courtyard is a open air area with its own private bar. A TV available for use with DVD, personal ipod use and an open gas fireplace. Available until 8pm daily (Due to licensing in the area) and catering for up to 100 guests. Suitable for sit down for 55, cocktail and stand up function for 100. This is an open air landscaped area with its own separate bar. No music is available in this area due to residential area. The Reepham Hotel is a landmark in historical Prospect. Situated on the corner of Regency and Churchill Rd, The Reepham Hotel has been a long-standing icon in the area for it's friendly staff and quality service. Boasting a large recently renovated dining room, spacious gaming room with 38 of the latest gaming machines. Front-bar featuring Pub T.A.B., pool table and digital jukebox. Also our well-stocked Sip'n'Save bottle shop and plenty of secure parking will ensure an enjoyable experience time and time again. The Rex offers a huge sports bar, a modern bistro, function facillities, gaming room, bottle shop and comfortable rooms for an overnight stay. With great meals, entertainment and promotions every day and night of the week there is always something happening at the multi award winning Rex Hotel. 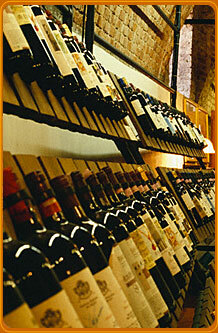 Good tasty food, hearty meals and fine wines. The fare you'd expect from an award winner. It's the perfect choice for lunch or dinner, business or pleasure, for families, friends or formal occasions. We even have a "Kids Korner" where children can play free video games, all in sight of the dining room. Chats is always ahead of the game when it comes to fabulous food and functions. Set within the beautiful leafy eastern suburbs of Adelaide, the Robin Hood Hotel continues to stand alone as one of the best Hotels around. The Hotel boasts a fantastic beer garden, fitted with exterior projection screens, heating and cooling, creating an enjoyable outdoor dining experience all year round. The ambient atmosphere of the Hotel and excellent service, all reflect the essence of what the Robin Hood Hotel is about, however, the fantastic menu is what brings everyone back religiously. The Hotel Royal Torrensville is fast becoming the venue everyone would love to call their local pub. Located just 5 minutes from the city, just on the brink of Adelaide's popular Western Suburbs. The food on offer in the Bistro is always fresh and full of flavour while the atmosphere and service continue to live up to their reputation. The hotel features a warm, friendly environment throughout and a modern and open interior. Sports fans are catered for in The Front bar as well as live entertainment on the weekends on offer in two different bars. This pub truly does offer everything under one roof and does so with a commitment to quality and friendly service. The Royal Hotel has its very own fine dining-style eatery. With its rich cream-coloured walls, dark timber furnishings and impressive park views from the balcony, this restaurant hasn't forgotten its roots as a pub eatery. The menu focuses on seafood and chargrilled steaks, and includes the ubiquitous T-bones and surf and turf plates that we all know and love. The friendly atmosphere and pub favourites take off the edge of unnecessary formality, leaving diners with a comfortable and quality eating experience. 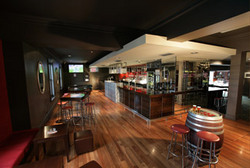 The Settlers Tavern consists of three bars, the Front Bar, TAB Auditorium and Lounge Bar. One of our bars is sure to be of your liking, so why not come on in and quench your thirst at the Settlers. The Sports Bar is the ideal place to catch up with friends. With its latest in glycol beer systems installed it now serves the coldest beer in the north. The Sports Bar consists of many facilities either entertain the night away with several pool tables or try your luck at darts. There are also two large plasma screens to watch all of your sporting needs including FOX sports with the latest football, cricket, basketball and soccer action. Catch up with your mates, bring your family and dine in our great bistro. Inside you can have a meal at the bistro or try your luck at the TAB. The Beer garden is filled with fantastic people, fun, laughter, and great live entertainment. Great Pub, great people, cold beer and good times. Enjoy the weekly Jazz Program every Friday & Saturday night. Sip Champagne and relax in the Sussex courtyard bar or have a flutter on the pokies. After twelve months the rennovations are finally complete and the Sussex looks simply stunning. Come and check out the changes for yourself. The Terrace Cafe restaurant may be reserved for exclusive use for up to 100 seated guests or 200 cocktail guests. We have a range of Ala Carte, Cocktail and set menu options available or we can tailor an option to suit your special needs. The Terrace Restaurant enjoys an enviable reputation, not just for its peerless food, but for the welcoming atmosphere and friendly service. An imaginative selection of cuisine, prepared by our top chef, is complemented by a choice of fine wines from our first-rate cellar. The menu features a selection of steaks, chicken, fish and hand-crafted burgers, together with imaginative accompaniments, starters and desserts. 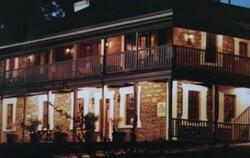 A great tavern to come to to relax and enjoy the company of frineds or have a well priced meal in the birstro. Since the formation of ADELAIDE CITY FOOTBALL CLUB in 1946, Adelaide City Football Club has had a proud history of success. In its 64 years of history, the club has become one of the most successful clubs in Australia. The club was formed by an expatriate group of Italian migrants and took the name of the most glorious Italian Football Club, 'Juventus'. The club's initial attempt to use the famous black and white stripes for Juventus were thwarted when the local state-level Football Federation ruled that there could only be one black and white team per league; and the black and white of Port Adelaide took precedence. So it was that moment, when newly formed Juventus players wore a navy blue strip with a white "J" before finally being permitted to wear black and white stripes from 1949. Adelaide Juventus Sports & Social Club incorporated in 1949 started a perusal for forthcoming soccer leagues and home games with desperate winning attitude. 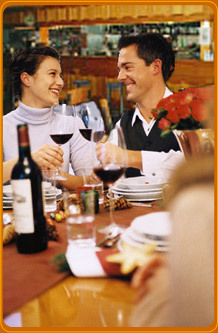 In 2004, after salient achievements by the club since 1953, the club decided to meet the requirements of socially interacted people in regard of fine food dining at one place where club can also have conversation for further development of club and let members to consume leisure activities. Right on the corner of Belair and Princes Road's sits a favourite pub to many. 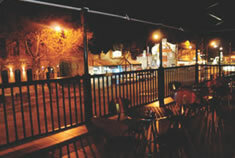 The Torrens Arms Hotel is affectionately known to locals as the TA. 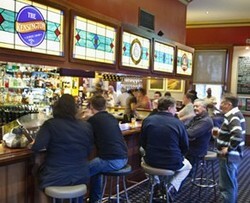 The TA is a meeting place for young and old, the last of the true family owned and operated suburban pubs in Adelaide. Proudly holding on the traditional pub culture; focusing on cold beer, quality wines and honest pub food. Located in leafy Kingswood, just minutes from Adelaide's CBD, and just a moments walk to Mitcham's Wallis cinemas. The TA is the perfect venue for a relaxing after work drink, or casual get together. All day dining from 11:30am through to 9pm, dine in our comfortable Springfield's, or outdoors in our protected, all weather smoke free beer garden. Our conventional front bar offers the sports lovers essentials', TAB, Keno, value for money meals and our specialty - the ta friendly service. Windmill Hotel the little pub with big attitude. Come in and see for yourself, the service is great, the food is delicious and the beer is always cold. A feast for the senses, BOHO exudes shadow and splendour in a world of fantasy, escapism, drama, opulence, colour and seduction. The ground floor has two main elements, the Sideshow Bar and the cafe area. The menu includes a few carnival-inspired creations and if you're feeling adventurous.. BOHO's upper level features the Circle Bar and for more intimate and private surrounds, step up to The Boudoir for a sensory overload. Sink into one of the regal, velvet couches and lose yourself in the flickering flames of the fireplace. BOHO's entertainment is nothing short of electec - incorporating everything from cabaret, opera, live brass and strings with modern beats from Adelaide's best DJ'x mixing unique blends of retro, funk and dance. And the entertainment doesn't stop with music, BOHO features roving burlesque performers. Lavish, cheeky, sinister and enticing. The Lion Hotel brings together great food, excellent service and premium product within one of Adelaide’s most historic hotels, made thoroughly modern. We provide Restaurant, Bar, Casual Eating (Lion Express), Function (Lion Events & Lion Catering) & Gaming Facilities. With breakfast in our courtyard, Live Entertainment 7 Nights a Week in the Bar, Unique & Diverse Event Spaces and our Award Winning Restaurant, there's always something happening at The Lion.